The show Gotham has grown with another new cast member that piqued my interest a lot. A lot. BD Wong has joined and he will portray Batman villain, Hugo Strange. Before I get into that – BD Wong. Of Jurassic Park. And more recently: Jurassic World. You know him. The ever-smug Doctor Henry Wu. Okay, okay, maybe not – but he still is my favorite in the Jurassic Park franchise. I was ecstatic that he returned to the role many years later in Jurassic World. Like I said earlier, Wong will play Professor Hugo Strange. Arguably one of Batman’s greatest foes. And also, what must be added, the first villain to piece together who Batman really is. In the show, Strange will run Arkham Asylum. Naturally, he’ll end up making things worse. 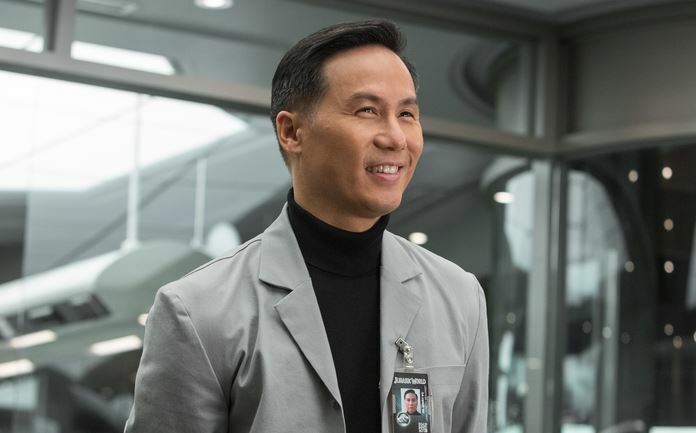 And if anyone could play such a smart and smug doctor, it’s BD Wong. I think it’s time I get caught up. He’s totally going to steal the show for me.